the earpiece cannot get any signal from the poker analyzer and scanning camera, then you will miss the result. 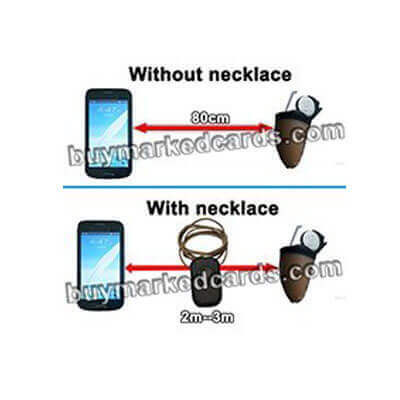 For this necklace device, who owns the great function to solve this signal distance problem well, which can make you put the poker analyzer 2-3 meters away from your earpiece; and you can still hear the result clearly. The device can bring you more chance to win the cards playing game or impressive your magic audience. 1. Wear on neck, easy to carry.